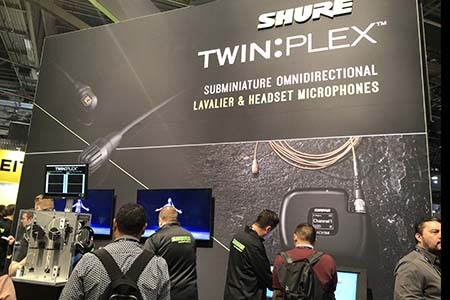 Shure has unveiled TwinPlex, the company’s new line of premium subminiature (5 mm) omnidirectional lavalier and headset microphones, at NABShow. Designed to stand up to the toughest conditions, TwinPlex provides natural audio at both high and low frequency when professional vocal performance is a must. The new patent pending capsule technology offers best-in-class sound in an easy-to-conceal package, ideal for quick costume changes or discreetly placed under wardrobe with no impact on sound quality. Developed with input from leading audio professionals, TwinPlex supports the diverse needs of theater, broadcast, film and television, and corporate presentations to produce high-quality audio production with superior dependability. Designed for unpredictable, high-stakes environments like theater or reality TV, TwinPlex was pushed to the boundary during development and field testing to ensure flawless audio regardless of the condition it encounters. The superhydrophobic coating and interchangeable sweat-resistant frequency caps keep perspiration and moisture from upstaging the audio, while the medical-grade cable technology flexes to fit the costume design and demanding schedules that often come with associated uses. 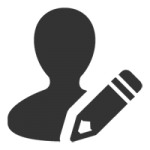 Select models of TwinPlex are now available. Visit Shure at Central Hall #C6015 at the NAB show.